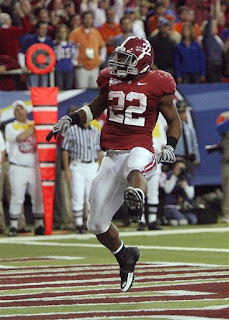 Alabama's Mark Ingram has been invited to New York as a finalist for the Heisman Trophy. After another unbelievable performance last weekend, we knew he was a lock to get the invite, but now he seems the Tide's best hope ever to win the award. The other Finalists are Toby Gerhart, Ndamikong Suh, Colt McCoy, and Tim Tebow. Ingram will be the first Tide player since 1994, when Jay Barker was invited to New York for the ceremony.